BELLA COULD NOT feel peaceful while staring at Mommy. She knew that all Mommy wanted to do was kill Cole. The voice inside Bella&apos;s head begged her to continue finding help for the poor boy upstairs, and the terrified boy in the woods. But Mommy&apos;s voice drowned that voice, and begged for Bella to kill Cole. "I can&apos;t, I can&apos;t, I can&apos;t," Bella continued crying, threading her fingers through her hair. 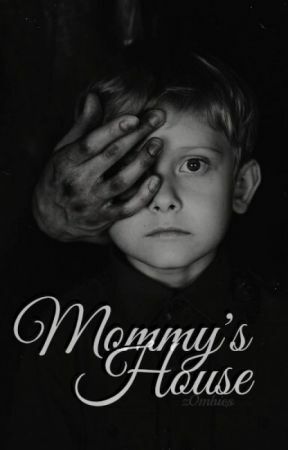 "You&apos;re a murderer," Mommy&apos;s voice emerged from the back of her mind. "You murdered me, so why can&apos;t you murder him?" "You did this to us," Bella sniveled, reaching up to wipe her nose. "Cole didn&apos;t ask for this." "I just wanted to love my children," Mommy&apos;s voice immediately responded, her raspy and twisted tone made Bella&apos;s head pound. "But you killed me before I could have a chance to do that." Bella couldn&apos;t handle it anymore. She stood up, her dress entirely saturated in blood. Her feet squeaked against the wooden floor as the crimson liquid stuck to her heels, but she continued to step through the empty basement. She looked in the room they were first thrown in, and observed the way untouched toys littered the floor. The way the chains attached the walls had cracked them, and the way blood was splattered against several surfaces - she suddenly found comfort in that room. She stepped inside and instantly, the numbing cold nipped her arms with metal teeth, raising bumps across her flesh instantly as she recollected the first time she woke up in that room. She was scared, but for what reason? Mommy did spare her life, after all. Bella walked out of the room and started up the stairs. The steps creaked beneath her gentle, bare feet as she took her time up the staircase. The house was engulfed in an early morning sunrise, that swallowed the furniture in a sweet, bright, and warm caress. Bella looked down at her red-coated toes, before she ran her hand through her thick and knotted hair. Bella was aware that she wasn&apos;t in the right state of mind, but she couldn&apos;t seem to suppress Mommy&apos;s voice. "I won," Mommy&apos;s voice echoed. "I won." Bella&apos;s eyes gravitated over to Cole&apos;s body, and focused on the agonizing rise and fall of his chest. Why couldn&apos;t he just die? It would make everything so much easier for Bella. "I am so proud of my princess," Mommy&apos;s voice sounded. "You know what to do now." Bella scoured the knife holder filled with sharp and tempting weapons. But then she noticed the record player sitting at the edge of the counter, opened with a record already settled inside of it. Bella walked over to the record player and lifted the needle, setting it down on the black, spinning vinyl. 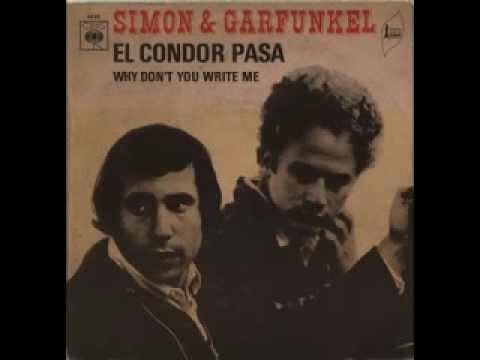 Static emitted from the speakers until the first notes of Simon & Garfunkel&apos;s El Condor Pasa began to play. Bella wiped her eyes as she sang along to the first words, her body trudging to the knife holder. Bella couldn&apos;t believe she was in such a situation.